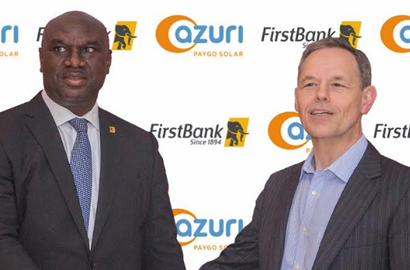 Pay-as-you-go solar technology company, Azuri Technologies, and FirstBank of Nigeria Limited have announced a unique partnership that will help deepen financial inclusion in Nigeria while bringing affordable, reliable and clean power to millions of Nigerians. Under the initiative, Pay-as-you-go customers will be able to pay for their solar via FirstBank’s Firstmonie agent network and mobile payment solution. According to World Bank, more than 60 million of Nigeria’s roughly 200 million people do not have bank accounts and as little as 6 per cent of people have a mobile money account.